Daikon is a vegetable I only discovered last year, they ain’t so common back home. At first when I saw them at the market in Senegal I thought they were parnips! Then I just never bought them because I never knew what to with them. Now this is my favourite way to prepare them, ribboned up in salads. 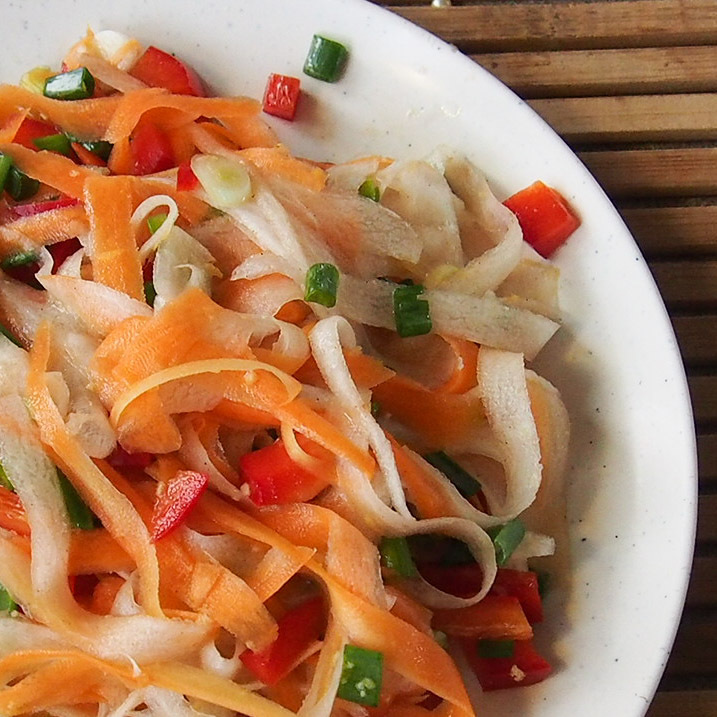 I tried stir frying them a few times and found they just got a bit soggy, but they have a really good fresh peppery taste which works perfectly for this salad recipe below. Great article but it didn’t have ev-erthingyI didn’t find the kitchen sink! I can imagine this is really refreshing! I only used daikon for the first time last year, putting it in a kim chi I fermented, but I would be interested to try it other ways! 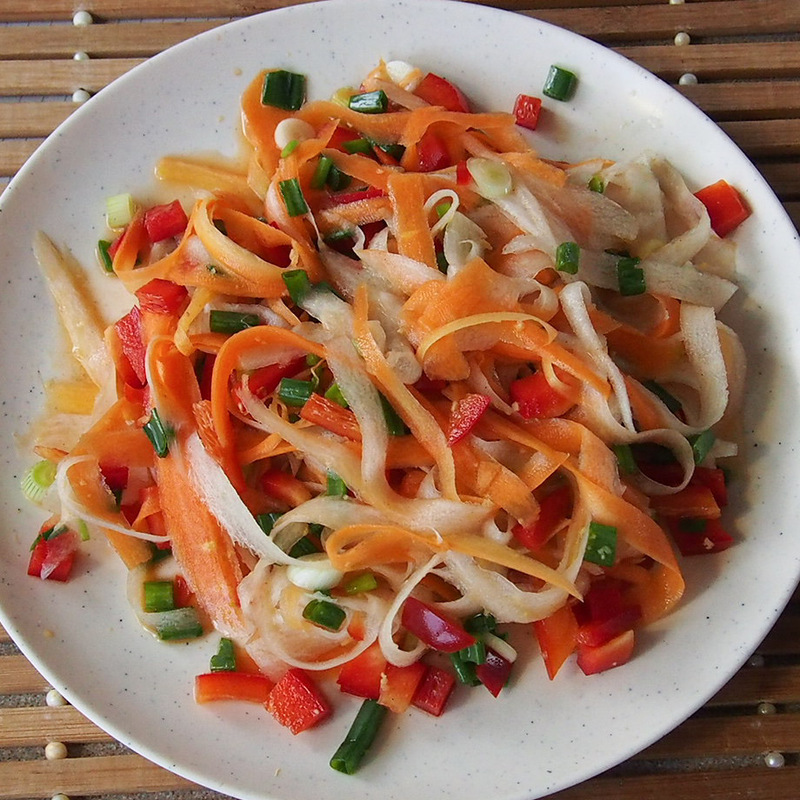 I like the thin slices, it looks good! Thanks. I love making ribboned salads, and they always look nicer too!